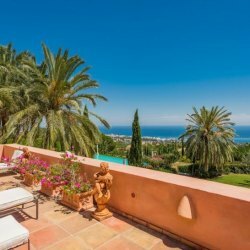 Please, send me more information about ref DM4011 in Sierra Blanca, Marbella Golden Mile or similar properties. 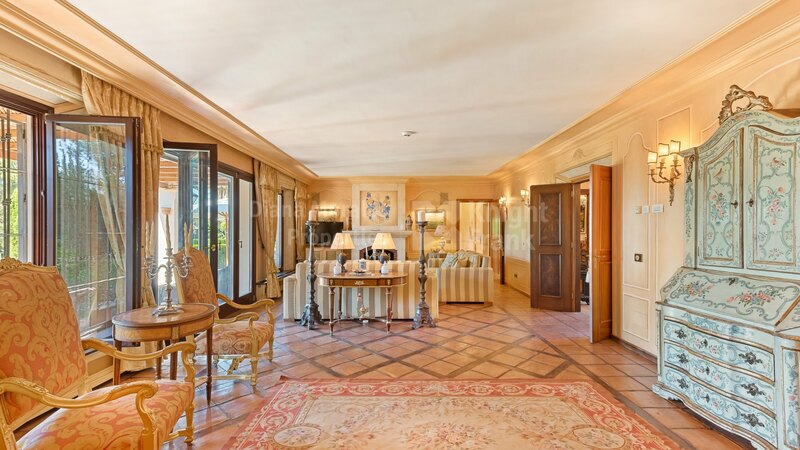 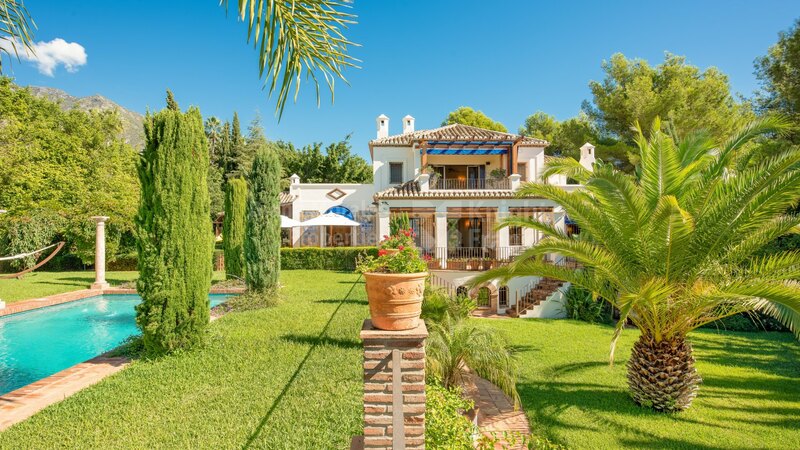 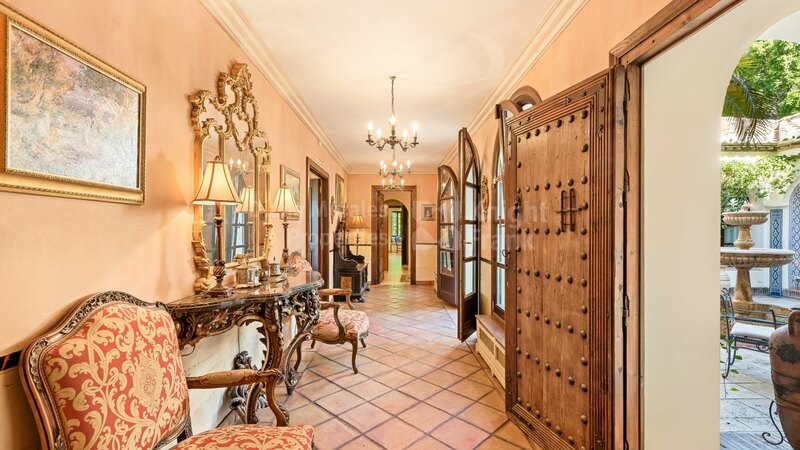 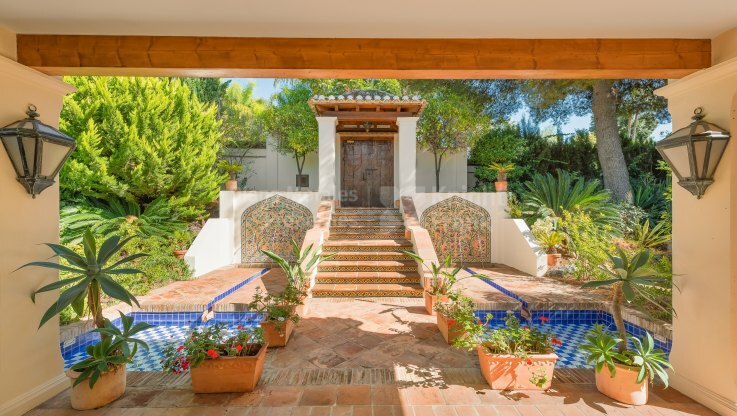 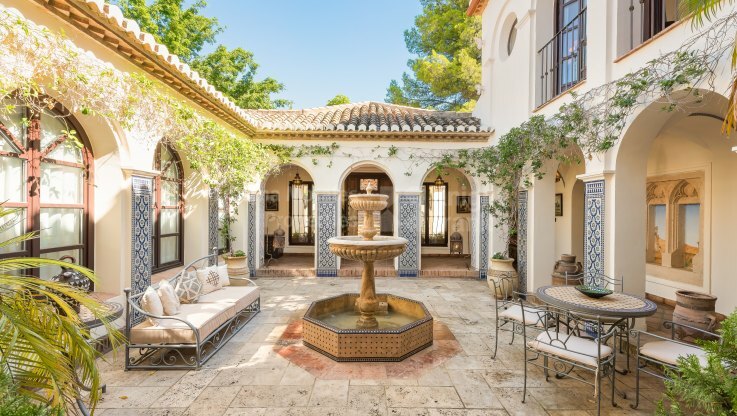 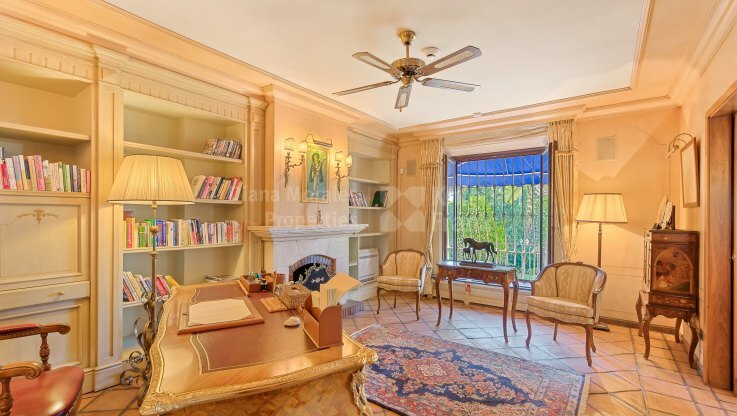 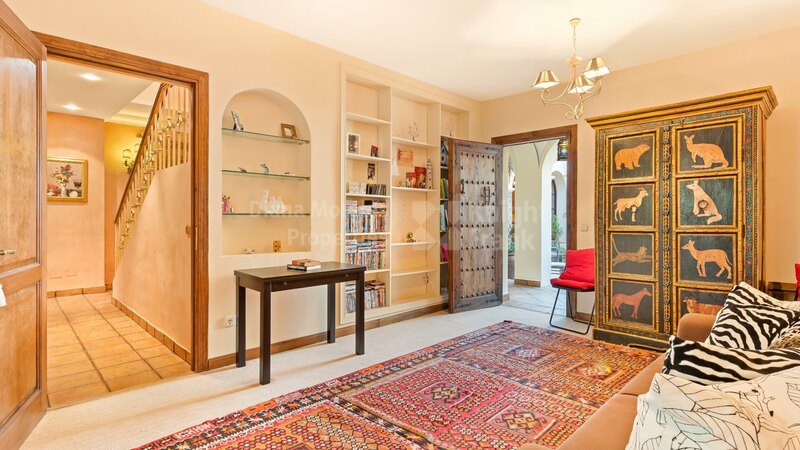 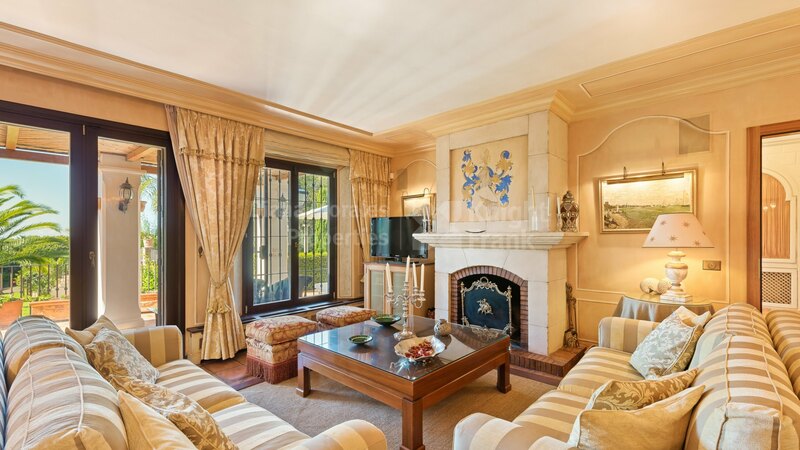 This traditional style villa built over a sizeable plot of around 3.000sqm is situated in the Golden Mile of Marbella next to the famouse and secure urbanization of Sierra Blanca with surveillance service and guards. The accommodation of the house is well distributed and comprises on the ground floor staff quarters with separate entrance including one bedroom and a bathroom and a lounge with kitchen. 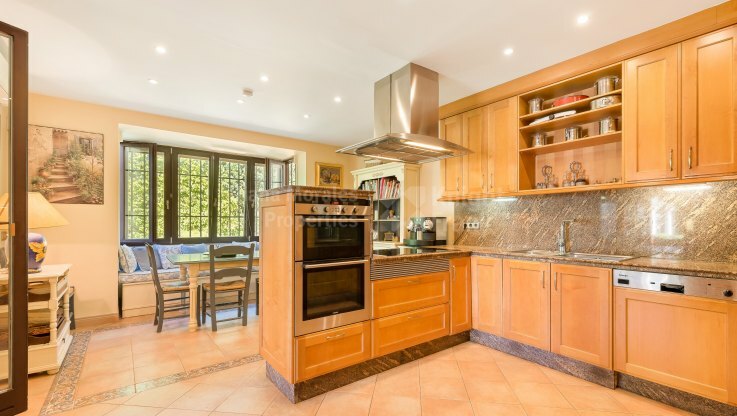 A fully fitted kitchen with electric appliances has adjoined pantry room, dining room with outdoor dining area, spacious lounge with fireplace and a library with fireplace and built-in walnut cupboards. 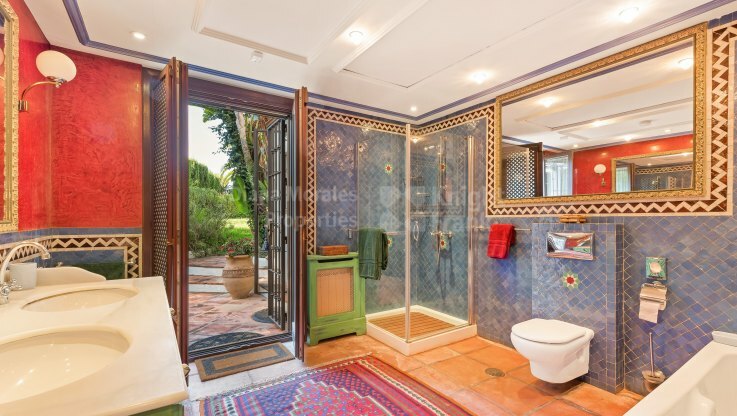 There are two guest bedrooms with bathrooms, and currently one of them is converted into a panic room. 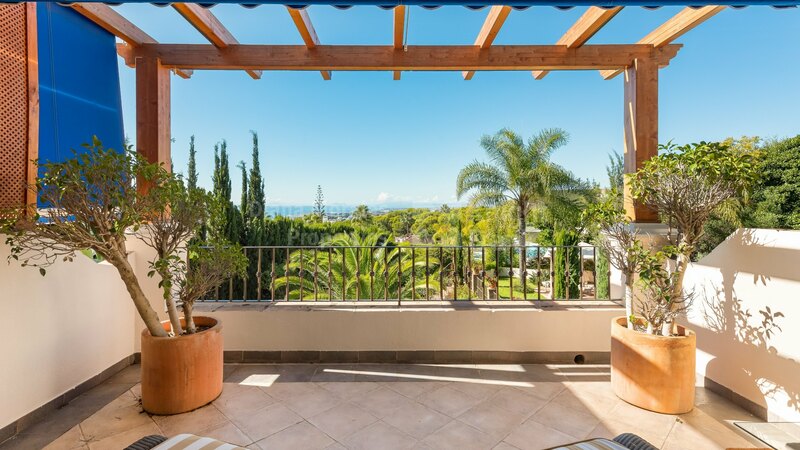 Upstairs there is a master bedroom with 2 walk in closets, bathroom and terrace with sea and garden views. 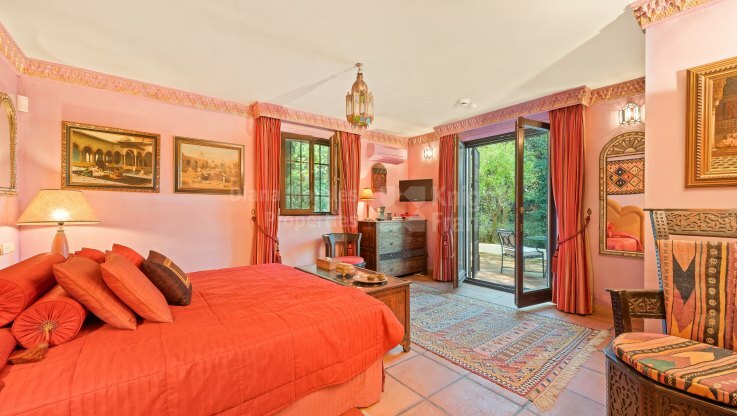 there is also a fourth guest bedroom. 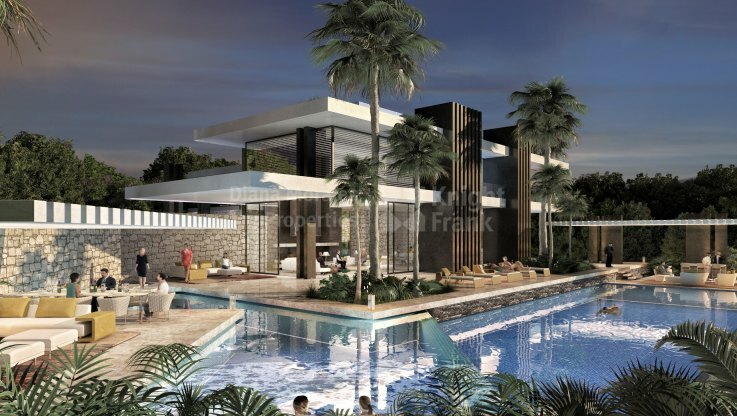 In the lower level there is garage for 2 cars, large storage, a guest apartment, gymnasium, indoor pool with changing rooms, storage and machinery room. Separately standing is a security house with one bedroom and bathroom. 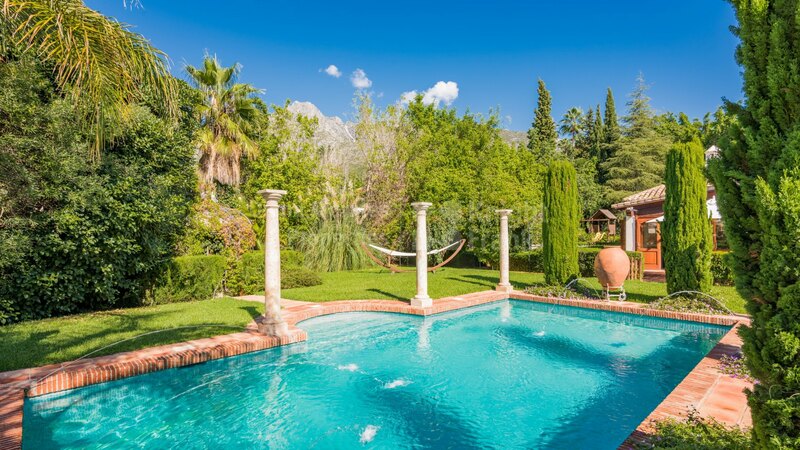 The property is surrounded with impeccable landscaped garden with outdoor pool and gazebo with BBQ. The villa has beautiful sea views. 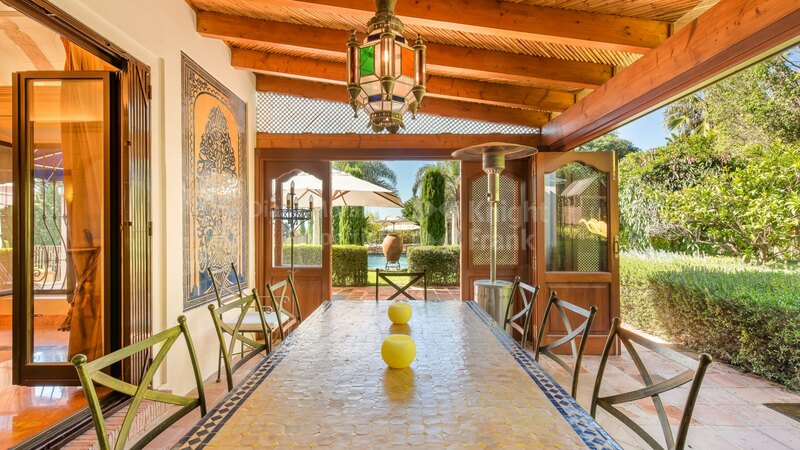 The house is built with very high-quality materials, such as triple glazing, terracotta and wood floors, walnut-cupboards, Italian marble. 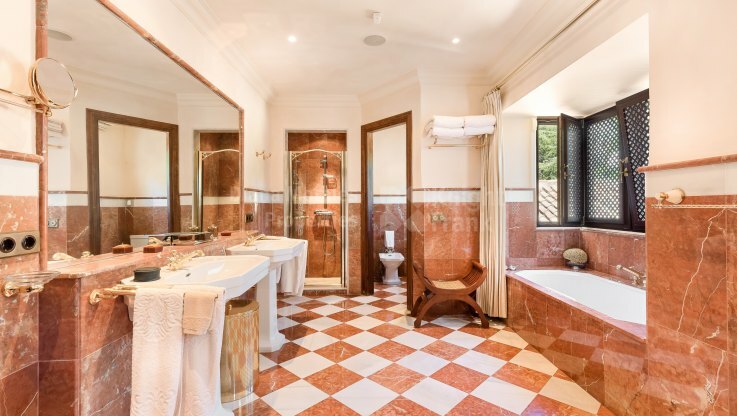 It features gas central heating, alarm system, safe, satellite T.V., lift, piped music and intercommunication system.